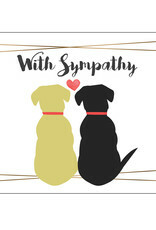 The memorial card program gives veterinarian clinics/hospitals the opportunity to show compassion towards a grieving client during their time of loss. 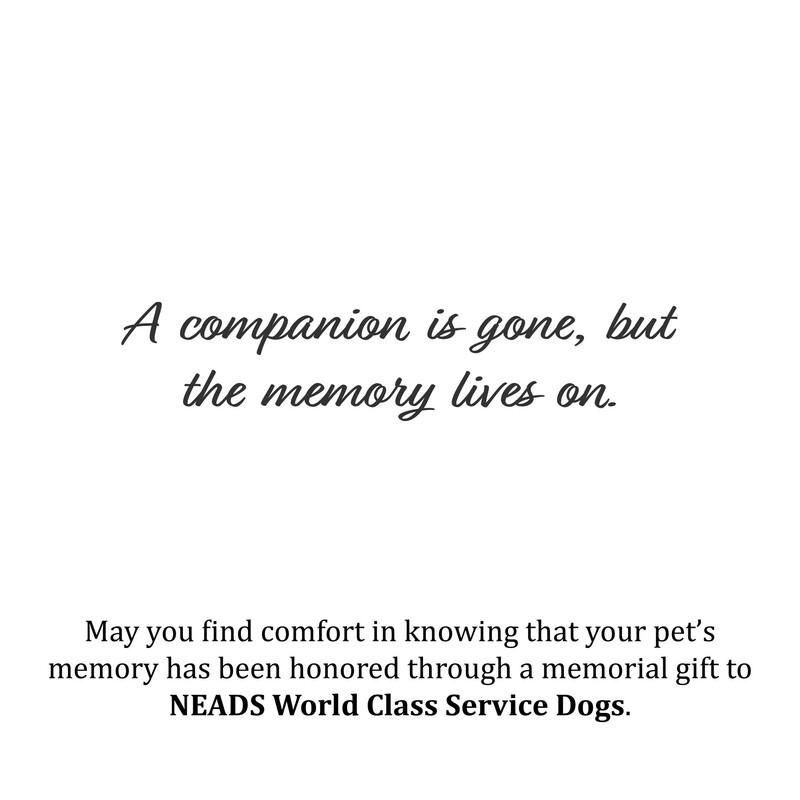 Each card honors a pet’s memory through a memorial gift to NEADS. 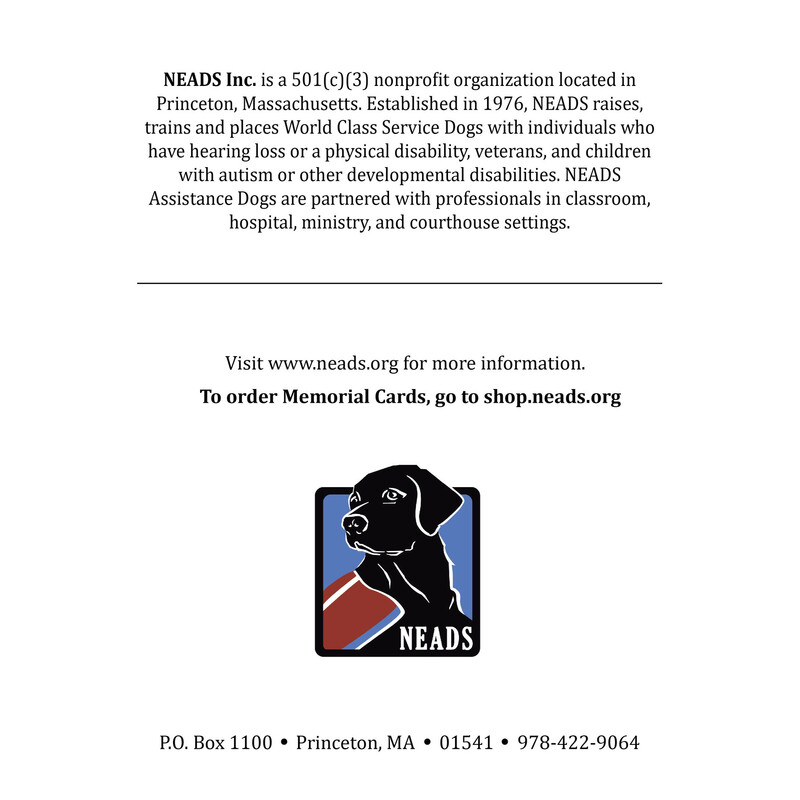 All proceeds from the cards benefit NEADS and help us continue to provide life-changing independence, companionship, and connection for people with a disability through our World Class Service Dogs. 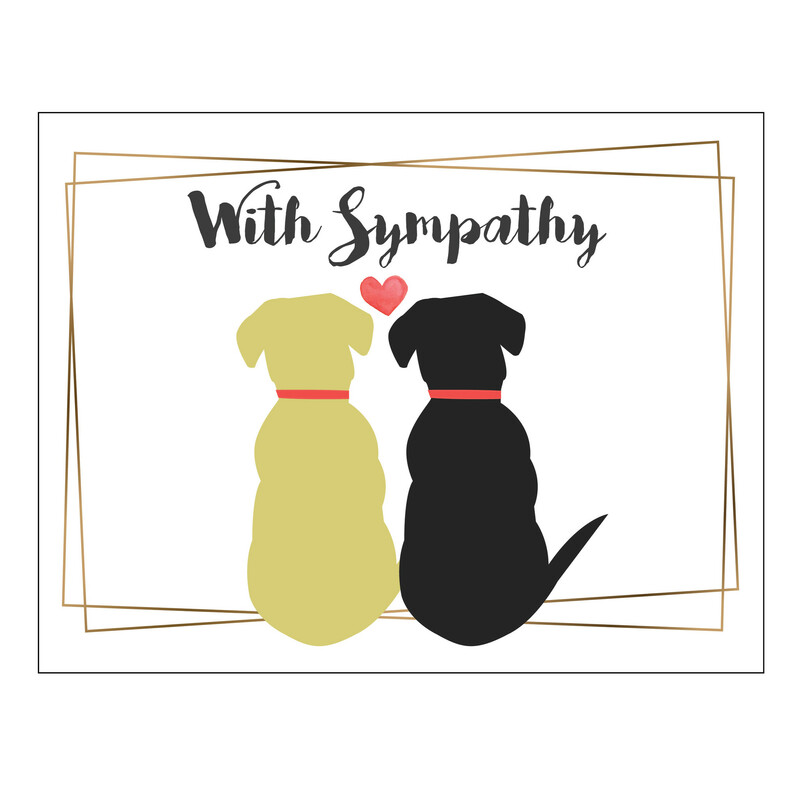 Pack of 25 Sympathy cards with envelopes. 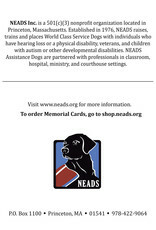 Great for veterinarian offices! Inside reads: Pets may leave your arms, but they never leave your heart. Inside reads: The heart remembers most what it has loved best. 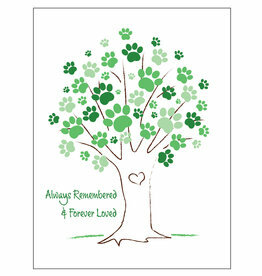 In memory of your beloved friend. 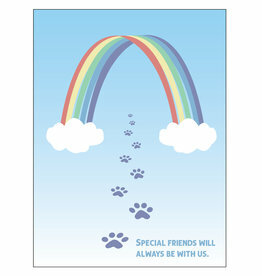 Inside reads: Pets leave paw prints on our hearts. 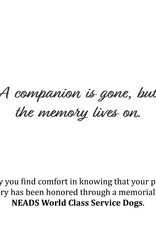 In memory of your beloved friend. 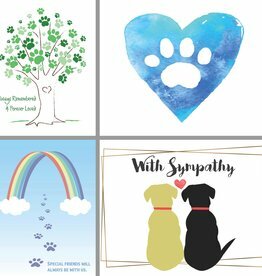 Variety pack includes (4) packs of 25 sympathy cards in each design (as seen); a total of 100 memorial cards for a discounted price. 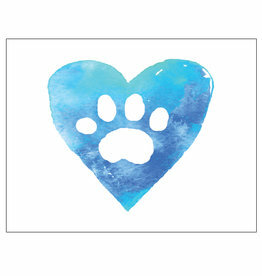 Great for veterinarian offices!